Gymboree Play & Music is part of the Gymboree Corporation that has been around since the mid 1970s. Specializing in age-appropriate activities for young children, Gymboree allows children to explore and gain confidence as they play. You can even hold your child's next birthday at a Gymboree Play & Music that includes activities led by a Gymboree teacher and all the party supplies you could want. 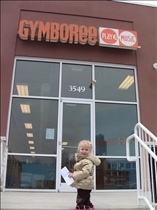 The Little Gym International has been around as long as Gymboree Play & Music, it is focused on childhood fitness. Gymnastics, karate, and more encourage motor skills while helping to teach children they can do their best without being overly competitive. When Joan Barnes could not find an age-appropriate place for her children to play that was both fun and safe, she decided to create her own. In 1976, Gymboree was created as a place where parents and children could play together in an educational and safe setting. Robin Wes opened The Little Gym is Bellevue, Washington in 1976 as a way to promote physical growth along with intellectual, emotional, and social growth. He thought children should learn in a non-competitive environment where there was more focus on achievement than just winning. Gymboree Play & Music centers offer classes in music, art, sports, and school skills. The goal of Gymboree is to incorporate play into learning. Classes are designed to help parents learn how to foster their children's continued physical and intellectual growth. 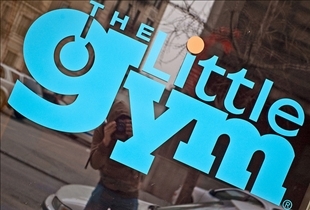 The Little Gym offers gymnastics, cheerleading, dance, karate, and sports skills classes. Using their own brand of music combined with movement, it allows children to develop their skills in a healthy environment where they are encouraged to get fit without even realizing it is happening! The Little Gym works by teaching children that being healthy can be fun. Gymboree Play & Music is designed for children aged 0 to 5 years. There are more than 550 Gymboree Play & Music locations in 30 countries. The playground equipment at Gymboree was designed specifically for them by Jay Beckwith and created with young children's needs in mind. The Little Gym is geared for children aged 4 months to 12 years. There are more than 300 Little Gyms in over 20 countries worldwide. Parents can watch in amazement as their children learn to listen and follow directions as well as become more confident. Gymboree Play & Music centers incorporate play into learning and the instructors help to foster your child's love of learning. Family classes are a way to support siblings in a learning environment that is created for multiple ages. Music classes where children play instruments, sing, and dance together coupled with art classes where children engage in hands-on activities make Gymboree a delightful learning experience. The Little Gym operates on the idea of teaching many skills through physical activity. Professional instructors have small classes of children so that they can assist each child in achieving their personal best. All of the classes encourage the children to express themselves and meet new challenges while learning new skills.